Who Did Sup. Avalos Meet With in 2014 & 2015? Less than 24-hours is how long it took Frances Hsieh, legislative aide to Sup. John Avalos, to provide me with an electronic copy of the supervisor and his aides' meeting calendars for all of 2014 and January 2015. Such rapid compliance and turnaround after filing a public records request is rare and I salute Hsieh for her speed. 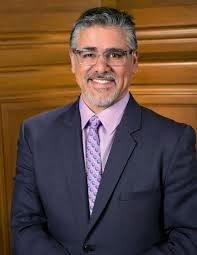 Avalos recently proposed legislation mandating all elected San Francisco officials and department heads maintain meeting calendars listing attendees at meetings and the organizations they represent. He is to be commended for this initiative which echos a key issue during my campaign for District 8 supervisor. Hsieh sent me 130 pages of calendar info and I'm pleased to report that even though Avalos and staff were not required to include details about who they met with and what topic was discussed, such details are part of the calendars. Two dates stand out and are shared in the combined image. In November, Avalos met with someone from the Ford Foundation about a bank, perhaps a municipal bank for low-income residents, and in December aide Jeremy Pollock met with a member of BART's board of directors, Tom Radulovich, to discuss "lots of wonky stuff". I wish I could state that Avalos posted his calendar to his official supervisorial page, but he hasn't and let's hope he soon amends that city-funded page to include calendars. Until then, you can read the entire 130-pages released to me this week at my Google docs page.